Effectively Dealing with Defeat & Despair is part '1/5' of the Life Commentary series on Joshua 7:1-15 from the Battle of Ai. 'The Lesson from Ai' helps us understand the causes of defeat and failure and more importantly the way God comes in and helps us recover and get ready for another victory. That is grace! A full index is at the bottom. Without properly handling defeat, there is no success. Success by the nature of our failures embodies a determined spirit to overcome defeat and failure. But we cannot do this on our own. We need God's grace both in discovering our subtle sins as well as making appropriate changes. We all need to know how to handle defeat. That is why Joshua 7 is written down for us. Of course God wants us to ride victorious in the wave of Jericho’s success. But true to life, we make mistakes. We listen to the Tempter. The world lures us. We sin. This passage is written for us in order to remind and instruct us that no person of God should remain in the despair of defeat and sin. Nor does he need to. God is calling him back to holiness so that he can not only enjoy the victories of yesteryear but glow in the victories God now gives to him . Perhaps right now you are in despair or know of a friend who might be in such a situation, let us pay close to this study on Joshua 7 for it provides critical lessons that we all need one time or another to be a constant growing Christian. Having said that, I am not sure that we are very open to what the Lord wants to teach us in this passage. The truths are too powerful. It hits too close at home dictates that we must make some life changes or just act like a hypocrite. Not a few Christians have given an excuse of not being active in the church because of hypocrites. I wonder if they themselves are the greatest hypocrites by calling themselves ‘Christians’ and yet not actively following Christ. In the last chapter, it was easy to talk about victory. Although we like hearing about being successful and victorious, we do not like the claim that we all can live victorious lives. But that truth with the truth from chapter 7 just overwhelms our minds. Joshua chapter 6 discusses the victory at Jericho while chapter 7 discusses the defeat at Ai. Let me state both of them. (1) Battle of Jericho: There are no major problems that we cannot overcome by God’s grace. (2) Battle of Ai: Our defeats and failures are always due to our unwillingness to properly apply God’s grace. If God has stated that He can help us overcome these personal problems that we face, then we have no good reasons to excuse ourselves from them. The same is true with our defeats and what we will learn in Joshua 7. We fail because of our sin. In other words, if we are facing failure in our lives, it is because we are living and thinking wrongly. Or from another perspective, if we are not being blessed in our lives with the fullness of the Holy Spirit and its fruit, then we have some problem hiding away behind the scenes. God has given us these powerful truths in order to give us the best lives possible. If we refuse to allow the power of the truth of God’s Word to shape our lives, then we will live that dull, painful and mediocre life. We need to know what problems we need to overcome and what kind of blessings it is that the Lord wants to give us. Sometimes we get a bit confused when we think the Lord promises a certain thing such as avoiding pain when He does not necessarily say such a thing at all. So let me make a few broader statements in order to clarify what we actually mean. Some would say that the righteous man will not suffer poverty or sickness. But when we take a close look at the Book of Job we find both blessings and poverty and illness even though Job was a righteous man. So even though there is a general blessing in our lives associated with ones righteousness, God does allow suffering, illness and poverty to occur in His people such as with Job. Others would say that the righteous man should not suffer pain, rejection or isolation. But as in Jesus’ case, we must recognize that sometimes the righteous man will suffer unjust treatment and undue rejection. In heaven, God states that these distresses, whether physical, emotional or relational will absolutely be gone. There will be no more tears. But right now, those things will at times occur. God’s people will at times go through such difficulties. We need to accept that. We should not conclude that because a person is poor or sick that it is because of some sin. But it well might be. He might be lazy or have some secret addiction. We, however, must not go around labeling people as sinners because they went blind. Now we know, however, that certain unresolved personal sins can and do affect a person’s life. Anger, for example, can lead to heart disease because of an unforgiving heart. Many illnesses are like this. But some illnesses like Job’s is not due to sin. Having said these broader perspectives, let us get back down to the principles highlighted here at the beginning of Joshua. It is a trick of the evil one to use a special situation to excuse our need for careful self-examination. These two principles set out for us in the Battle of Jericho and the Battle of Ai are important. We can be victors. We can be filled with the Holy Spirit. No Christian should think that he cannot ‘rejoice in the Lord always.’ No Christian should say that he can’t ‘love or forgive’ a certain person. Jericho shows us that God has a way to overcome our sins if we earnestly seek Him out. The problem is not our ability as God’s people but our willingness. The Battle of Ai presents before us a clear picture of defeat and failure. Our tendency here is to claim that our own failures and despair are due to things outside our control. Let me name some. (1) It is my family background. (2) It is my natural strong temper. (3) I don’t have enough money. (4) My church is not good enough. (5) My sin is too strong. (6) The devil made me do it. The list of these excuses can go on! These are just starters. 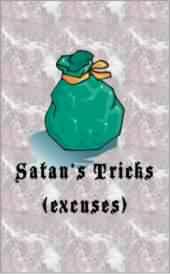 Satan has a whole bagful of deceptions that he freely hands out to us to cover up our pride. It is easier to admit the supposed mistakes of others than to confess ones own sin. It is mighty tempting to grab the evil one’s deceitful treat by blaming others and excusing oneself of ones own responsibility. Today we will take a careful look at the Battle of Ai. We will not only see how to ‘fall’ into sin but also the right way to get up out of it. After all, some of you might have heard about Jericho, but felt like you have already messed up the plans. The evil one whispers there is no hope for you. But the Lord, foreseeing that we would sometimes fall and need instruction on getting back with Him, has graciously given us Joshua 7. So what particularly will we learn here? What is it that we need to know about the process of failure so that we can rightly discern our problem and escape its clutch on us? Joshua has recorded for us in Joshua 7:1-15 the process of defeat and recovery. Of course, this is only one way to fall but its principles are broader than we would normally think. We could go further and discuss this recovery from a community perspective but that would go beyond the scope of our text starting in verse 16. 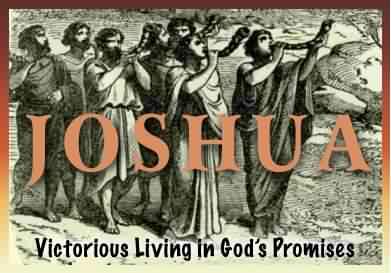 Joshua 6:1-27 Summary: You can win too!